The Bernese Mountain Dog (BMD) has been identified as breed that can inherited degenerative myelopathy (DM). In this particular breed, two different mutations in the SOD1 gene have been identified. Degenerative myelopathy SOD1B is caused by a mutation of the SOD1 gene currently identified only in the Bernese mountain dog that is a different mutation from the common SOD1 mutation causing DM in a large number of breeds. Bernese mountain dogs are known to develop a more slowly progressive form of degenerative myelopathy associated with the SOD1B mutation. Both types of DM affect the white matter tissue of the spinal cord and is considered the canine equivalent to amyotrophic lateral sclerosis (Lou Gehrig’s disease) found in humans. Affected dogs usually present around 8-9 years of age with gradual muscle atrophy and loss of coordination typically beginning in the hind limbs due to degeneration of the nerves. The condition is not typically painful for the dog, but will progress until the dog is no longer able to walk. Testing of BMDs for the common SOD1 mutation and for the SOD1B mutation can identify carriers of this disease and allow for informed breeding decisions. Both mutations are included in the Bernese Mountain Dog Panel. Congenital myasthenic syndrome (or CMS) is an inherited neuromuscular disease that typically presents around 2-3 weeks of age with severe exercise-induced weakness of all four limbs leading to collapse. Affected dogs have two copies of the mutation and will have decreased reflexes in all limbs and a short-strided gait that becomes more pronounced with exercise. Labrador retrievers who are carriers of this disease can be identified though testing for the mutation in the COLQ gene. CMS is available as an additional test for Labrador retrievers. Fucosidosis is an inherited lysosomal storage disease affecting English Springer Spaniels. Affected dogs have a deficiency of the enzyme alpha-L-fucosidase which is responsible for breaking down complex sugars during normal cellular metabolism. As a result, there is an accumulation of these compounds primarily in cells of the nervous system affecting the normal function of the brain and nervous system. Affected dogs typically present with symptoms between 18 months and 4 years of age. Symptoms include loss of balance, deafness, change in temperament, loss of learned skills, blindness, difficulty eating, and weight loss. Once an affected dog begins to show signs of the disease, the disease progression is rapid and dogs usually die within 3-4 weeks. Testing of the FUCA1 gene for Fucosidosis is now available as an individual test or can be ordered as part of the English Springer Spaniel Panel. Ichthyosis is an inherited skin condition affecting the American Bulldog. Affected dogs present as early as 1-2 weeks of age with flaky skin and a scruffy coat when compared to normal littermates. Typically, before 6 weeks of age, the skin of the abdomen is reddened, wrinkled, and covered by light brown scales. As the dog ages the sparsely haired areas of the dog become red-brown with adhered brown scales and large white to tan scales are found throughout the coat. Dogs may also have thickened footpads. Affected dogs are at increased risk for infections of the skin, ears, and footpads and may require treatment for these infections throughout their lives. Carriers for this disease can be determined through testing for the mutation in the NIPAL4 gene. Ichthyosis is now part of the American Bulldog Panel of disease tests offered by PPG. Juvenile myoclonic epilepsy (Rhodesian Ridgeback type) is a neurological disease that typically presents as a type of epilepsy with frequent, uncontrolled muscle movements known as “myoclonic jerks” between 6 weeks and 1 ½ years of age. Myoclonic jerks, which may resemble electric shock or a startle response most commonly occur in the limbs, head, eyelids, jaw, and other body parts and range from mild, nearly imperceptible movements to severe, dramatic movements resulting in jumping or running short distances, sometimes into objects. Myoclonic jerks are most common when dogs are relaxed or in the beginning stages of sleep. Some dogs with this type of epilepsy may experience jerks when exposed to various visual stimuli including light flashes or sudden change in light intensity. Affected dogs may progress to generalized seizures with time. Testing of the mutation in the DIRAS1 gene will identify carries and at-risk dogs. This test is now part of the Rhodesian Ridgeback Panel. Neuronaxonal Dystrophy, or NAD, is an inherited neurological disease found in Papillons and Spanish Water Dogs. This disease illustrates how two different genes with different mutations can cause a clinically similar disease in two unrelated breeds. In Spanish Water dogs, affected dogs typically present between 6 months to 1 year of age, whereas in Papillons and Phalenes, affected dogs typically present earlier, between 1-4 months of age. Dogs affected with this neurological disease can show a variety of symptoms including an abnormal gait, tremors and other neurologic signs such as blindness and inability to eat. In Spanish Water Dogs, carriers can be identified by testing for the mutation found in the TECPR2 gene. For Papillons and Phalenes, a mutation in the PLA2G6 gene is responsible for the disease in these breeds. The NAD test is now included as part of the Spanish Water Dog Panel, the Papillon Panel and the Phalene Panel. Oculocutaneous albinism is an inherited condition affecting the pigment of Doberman pinschers. Affected dogs are born with white or cream-colored coats, pale eye color, and pink noses, lips and eye rims. Dogs with this condition exhibit sensitivity to bright light and are prone to melanocytic tumors of the lips, skin, eyelids, and irises. Carriers can be identified by testing for the mutation found in the SLC45A2 gene. Oculocutaneous albinism is now available as part of the Doberman pinscher disease panel. Primary open angle glaucoma (POAG) is an inherited condition of the eye found in many breeds of dog. Basset hounds can have a mutation in the ADAMTS17 gene that may be one cause of POAG in this breed. Affected dogs present with excessive eye pressure resulting in enlargement of the eye and pain that is poorly responsive to treatment. Signs of pain in the eye include excessive blinking, tearing and redness. If left untreated, the increased pressure leads to bulging eyes, optic nerve damage and the gradual loss of vision. Testing of the ADAMTS17 gene is now available and can be used to identify carriers and screen affected dogs for this mutation. Because there is heterogeneity (more than one cause) of POAG, some dogs with this disorder may not be found to carry this mutation, but the availability of this test makes it possible to screen Basset hounds for this specific type of POAG. This test has been added to the Basset Hound Panel of tests at PPG. Progressive retinal atrophy (PRA) is a term used to describe a class of inherited eye diseases affecting many different breeds of dog. PRA occurs as a result of degeneration of both rod and cone type photoreceptor cells of the retina, which are important for vision in dim and bright light, respectively. In general, the rod type cells are affected first and affected dogs will initially have vision deficits in dim light (night blindness) and loss of peripheral vision. Over time affected dogs continue to lose night vision and begin to show visual deficits in bright light. Shetland Sheepdogs have a specific type of PRA caused by a mutation in the CNGA1 gene. In Shelties, the reported average age of clinical diagnosis with this type of PRA is about 5 years of age. However, this PRA type can have a wide range in age of onset with reports of clinical diagnosis from 2 to 11 years of age. Shelties can now be screened for the PRA caused by a mutation in the CNGA1 gene to identify carriers and at-risk individuals. The Sheltie-specific PRA has been added to the Shetland Sheepdog Panel at PPG. Sensory neuropathy is a progressive neurological disease affecting Border Collies. Affected dogs present at about 2-7 months of age with ataxia, abnormal gait, muscle atrophy, knuckling of the paws, and hyperextended limbs. Urinary incontinence and regurgitation may occur as the disease progresses. Affected dogs lose feeling in all limbs and develop an inability to recognize the position of limbs in space. Hind limbs tend to be more severely affected than front limbs. Affected dogs will often chew on their lower limbs and feet as they lose feeling, resulting in severe wounds. Carriers of this disease can now be identified by testing for the mutation found in the FAM134B gene. Given the severity of this condition, this test has been added to the Border Collie Panel and should be considered as an essential test for any breeding dog. Spinal dysraphism is an inherited developmental disease affecting Weimaraners. Affected dogs have abnormal development of the spinal cord that can result in clinical symptoms ranging from mild to severe depending upon the severity and location of spinal cord defects. Affected dogs typically present about 4 to 6 weeks of age with a “bunny hopping” gait, a crouching, wide-based stance, and abnormal reflexes in the hind limbs. Abnormal hair growth along the back, curvature of the spine, malformed sternum and kinked tails have also been reported. 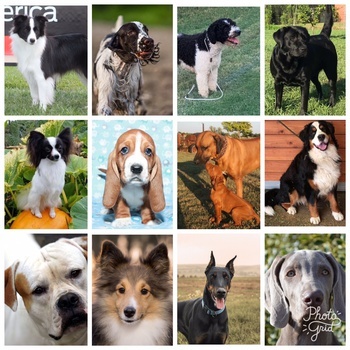 Carrier dogs can now be identified by testing for the mutation found in the NKX2-8 gene. Spinal dysraphism is now included in the Weimaraner Panel to provide comprehensive testing for your dog. For a limited time, these 12 tests are available at discounted prices to help breeders complete the testing that they need for their dogs. As always, all testing comes with Paw Print Genetics’ commitment to excellent service and the highest accuracy and testing standards in the industry. Please contact us if you have any questions about these tests or any of our genetic tests for your dog. It is our continuing goals to support your efforts in producing the healthiest puppies possible and provide value to your breeding program.